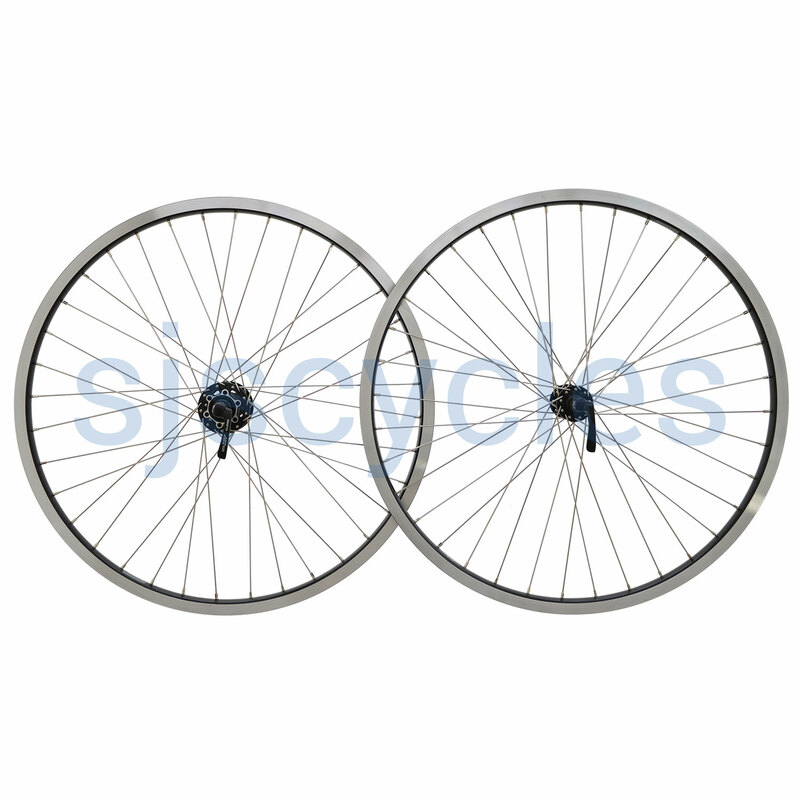 26" (559) Wheelset 36h Andra 30 rims with mixed Shimano hubs - Black. Shimano Deore front hub in black. Shimano Deore XT rear 6-bolt disc hub in black. Rear hub can be used with 8,9 and 10spd cassettes without any modifications and 7spd cassettes with a spacer (SJSC part 3888). Handbuilt by our Master wheelbuilder from DT stainless spokes.